The USD has broken down today, igniting rallies in a number of other currencies. Gold is advancing on $1,300 while AUD has cleared $0.7500 ad NZD broke out as well. 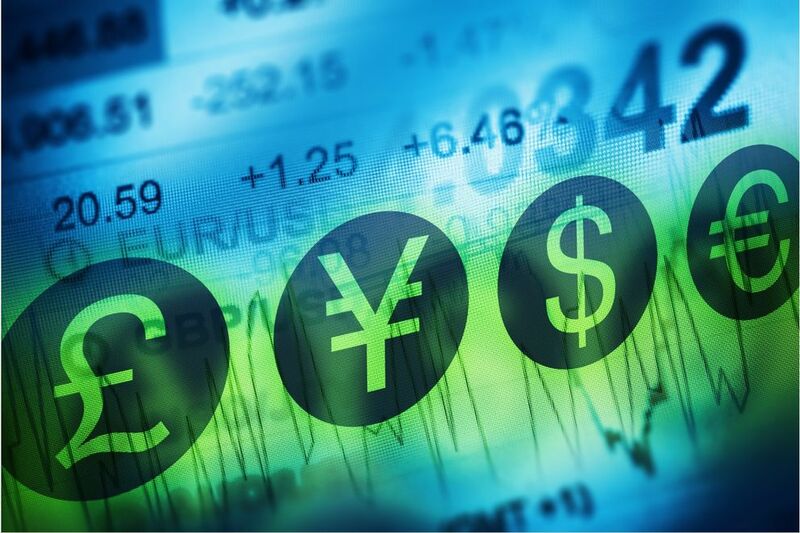 JPY has been particularly strong taking out 110.00 against USD and posting strong gains against EUR and GBP. Australia 200 has come under increased pressure diving down from 5,750 toward 5,665. The right shoulder of a head and shoulders top appears to be in place and the index is testing neckline support. Next potential test on a breakdown at the 200-day average near 5,615 then 5,575. RSI falling away from 50 confirms downward momentum increasing. Japan 225 has fallen back under 20,000 and appears to be starting a correction. RSI falling away from 70 confirms a negative divergence and upward momentum weakening. Initial correction support possible near 19,740 a 23% retracement of the recent rally. Hong Kong 50 is breaking out today, clearing 26,000 and advancing on 26,060. RSI is overbought but so far is confirming the underlying uptrend. Next measured resistance possible near 26,155 with initial support near 25,845. US 30 failed to hold above 21,200 and has turned back downward in what could be the third day of a bearish Evening Star candle pattern. RSI suggests upward momentum levelling off. Initial support possible near 21,060 a 23% retracement of the recent advance. US SPX 500 ran into resistance near 2,440 and has started to drop back falling toward 2,430 with next potential support near 2,417 a 23% retracement of the recent rally. RSI suggests recent upward momentum levelling off. US NDAQ 100 has slipped back from 5,890 resistance. The index appears to be pausing to digest its recent rally to all-time highs and to work off an overbought RSI. Initial support in a correction may appear near 5,822. UK 100 is breaking trend support today completing a bearish rising wedge and signalling a downturn taking out 7,530 and falling to test the 7,500 to 7,525 area. Next potential support near 7,450 a previous breakout point. A negative RSI divergence already indicated the recent uptrend could be ending. Germany 30 failed to overcome resistance near 12,900 and appears to have completed a double top. The index has dropped from 12,800 toward 12,670 with next potential support near 12,570 then 12,500. A lower high in the RSI suggests upward momentum slowing. Gold is in rally mode again today, climbing to test resistance between $1,295 the April high and the $1,300 round number. Support moves up toward $1,280 with net potential resistance near $1.3906 then $1,338 the November high. Rising RSI indicates accelerating upward momentum. WTI crude oil has started to attract renewed interest. The price has bounced up off of $46.60 support, first toward $46.90 then $47.70 and then $48.00. Initial resistance appears near $48.20 then the 50 and 200-day averages near $49.40. US Dollar Index is breaking down today, taking out 96.65 channel support and sliding toward 96.45 with next potential measured support near 95.65 based on the current trading range. Initial resistance possible near 97.00. EURUSD continues to struggle with $1.1290 resistance while the RSI suggests upward momentum may be peaking. The pair has dropped back into the $1.1240 to $1.1280 area, trading near $1.1275 with next potential support near $1.1200 then $1.1155. GBPUSD is steady near $1.2900 having run into resistance near $1.2950 with more possible near the $1.3000 round number. It’s underlying uptrend remains intact with the RSI back above 50 and support moving up toward $1.2865. NZDUSD is breaking out today, clearing $0.7160 to complete a 62% retracement of its previous downtrend, opening a path to the upside with next potential resistance near $0.7200 then $0.7250. Rising RSI confirms increasing upward momentum. AUDUSD is breaking out over $0.7500 today while RSI back above 50 confirms momentum turning upward. Next potential resistance appears in the $0.7530 to $0.7540 area between the 200-day average and a Fibonacci level then $0.7590 on trend. USDSGD continues to trend downward breaking down below $1.3810 a Fibonacci level and falling toward $1.3795 to signal the start of a new downleg. RSI indicates steady downward momentum. Next potential support near a measured $1.3745. USDJPY is breaking down in a big way today, taking out 110.00 and its 200-day average to signal the start of a new downleg and falling toward 109.50. Next potential support near 109.00 then the April low near 108.10. Falling RSI confirms downward pressure increasing. GBPJPY is breaking down today, taking out 141.85 a Fibonacci level to signal the start of a new downleg. Falling RSI confirms increasing downward momentum. Next potential support near 141.00, 140.40 a Fibonacci level then the 140.00 round number. EURJPY continues to roll over, testing 123.00 where a break would complete a bearish descending triangle and signal the start of a new downleg. RSI testing 50 where a break would signal a downturn in momentum. Next potential support near 122.60 then the 50-day average near 121.30. USDCAD is sending mixed signals. The pair remains below $1.3500 and its 50-day average with RSI still under 50 confirming ongoing distribution. On the other hand, a higher low near $1.3440 suggests accumulation. Next support near $1.3400 with next resistance near $1.3540.